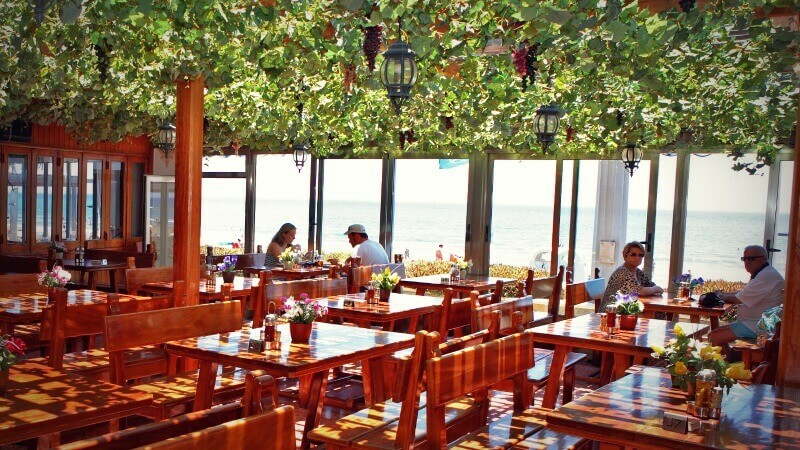 Restaurant El Capitán is located at the beach in San Agustin. 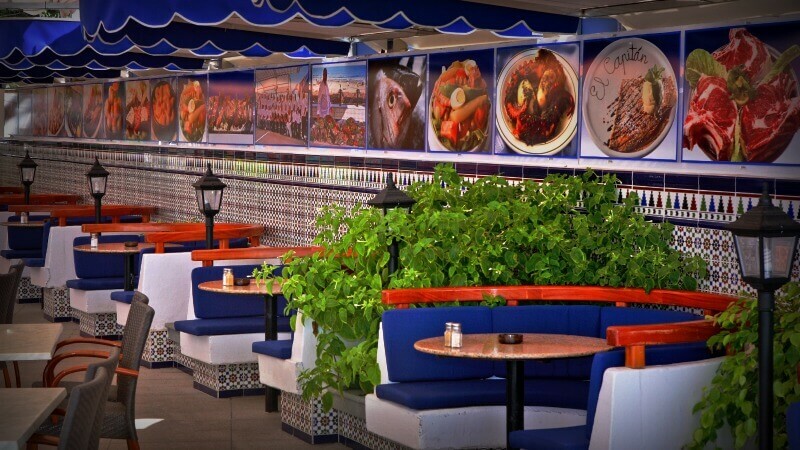 Its enviable location, literally right on the beach walk, affords its patrons breathtaking views from almost every table. 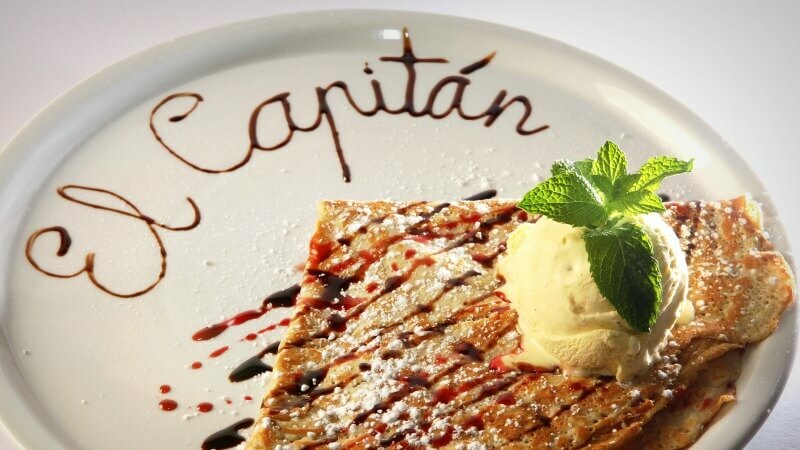 El Capitán is an established eatery, having first opened its doors over twenty years ago. They serve a huge selection of dishes. Ranging from simple snacks to a la carte. There really is something for everyone, and the owners pride themselves on this. Great food and cocktails are always available at this restaurant. Open from early morning, the restaurant offers diners a wide choice of options. Breakfast, snack and daily special menus run alongside the a la carte menu. So whether you are looking for a take-away pizza or a long lazy lunch or dinner, this is the place to head. 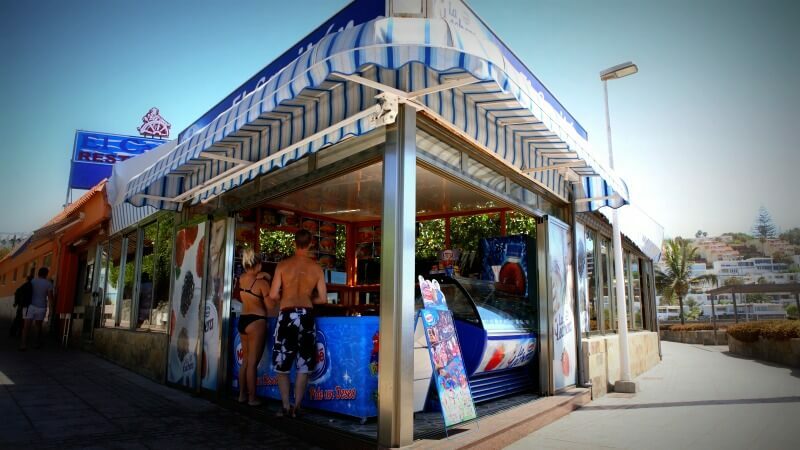 In addition, the restaurant also has an adjacent snack kiosk. This serves customers directly from the beach. Here you can find pizzas, sandwiches and baguettes, burgers, cold and hot drinks and ice-cream. The main restaurant of El Capitán is divided into three sections. 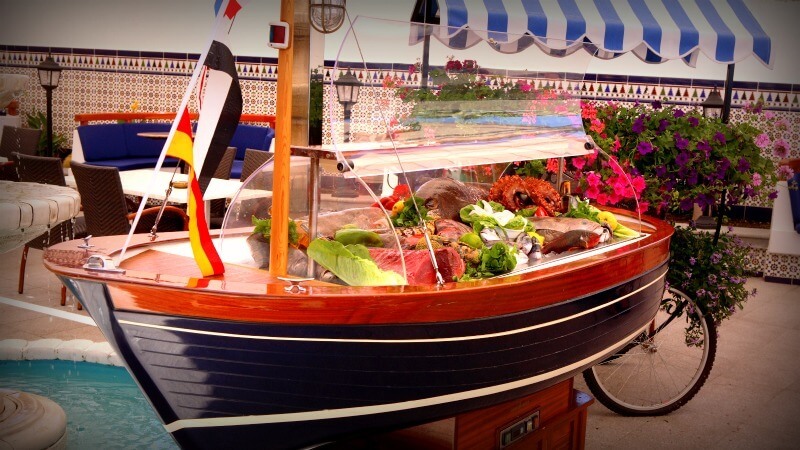 Meaning you can choose from the outside area, which is light and spacious and decorated in a nautical style. It has fantastic views, plenty of shade and comfortable seating, plus a great safe children’s play area! The indoor section of El Capitán is in two parts. The main restaurant is a bright space. 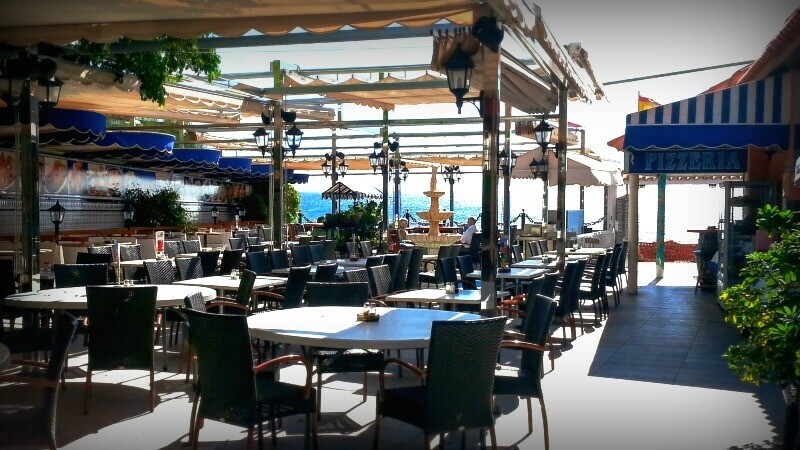 You’ll find lush green hanging plants overhead and rustic wooden tables with benches. There is also a huge TV screen, where you can catch up on your favourite sports with an ice cold beer! The third dining area is slightly more formal, with crisp tablecloths and a tasteful decor. The ideal choice for a special celebration or an elegant Sunday lunch. 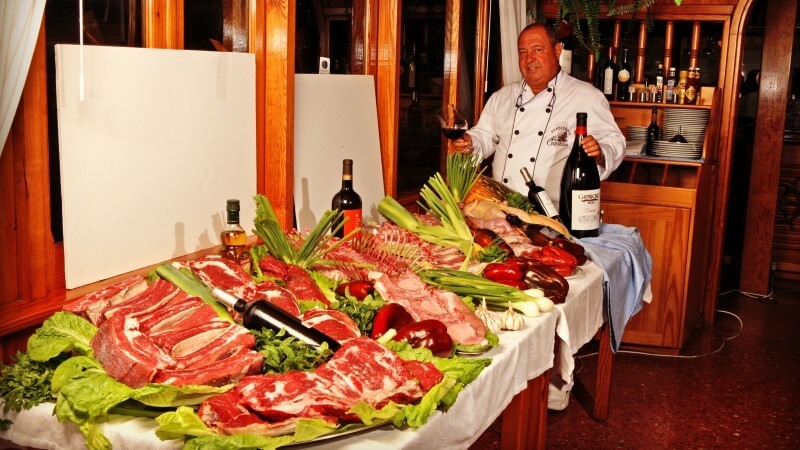 We loved the tempting display of fresh meat and seafood on display at the entrance to the restaurant. With such a wide selection of dishes on offer, it was a welcome relief to have our friendly waiter lead us to the chiller cabinet, where he talked us through the menu. We ate a small selection of Canarian tapas and the fresh fish of the day which was excellent. 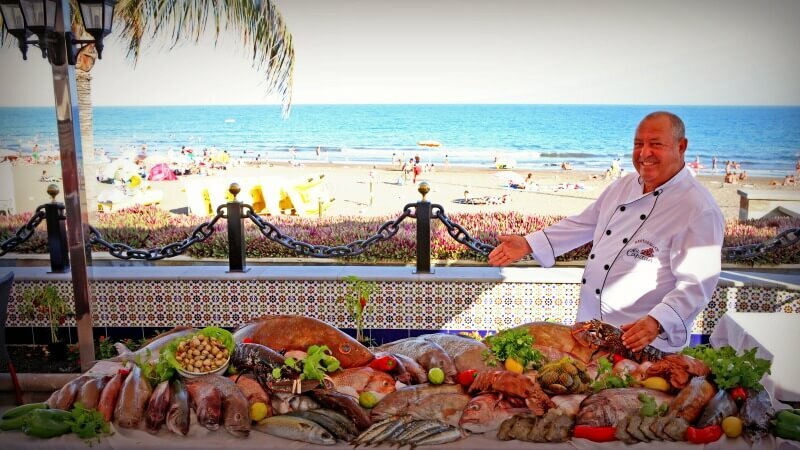 The fish was cooked in the Canarian way and served with traditional Canarian potatoes or papas arrugadas and spicy mojo sauce and salad. We accepted the waiters wine selection and loved the crisp white he brought us from Lanzarote. Dessert was mango ice-cream and a delicious chocolate mouse, served alongside a rich Spanish coffee. In addition to the amazing location, Restaurant El Capitán now has a complimentary cocktail bar in the outdoor section. 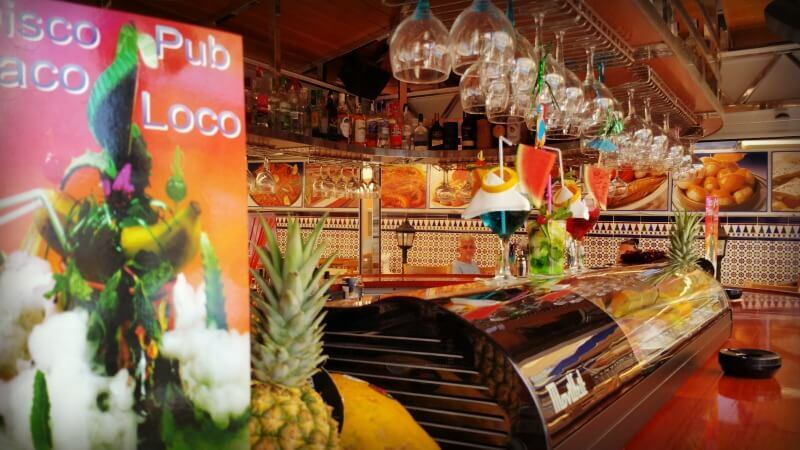 We loved being able to sit at the bar, overlooking the beach with our delicious drinks. This busy restaurant also has occasional live music, mainly over the weekends and public holidays. We visited during the weekend and it was very busy, so it is advisable to make a reservation in advance if possible. The restaurant is open 7-days a week, has ample adjacent parking, friendly efficient staff and a relaxed ambience, so it ticks all of our boxes on those practical issues. 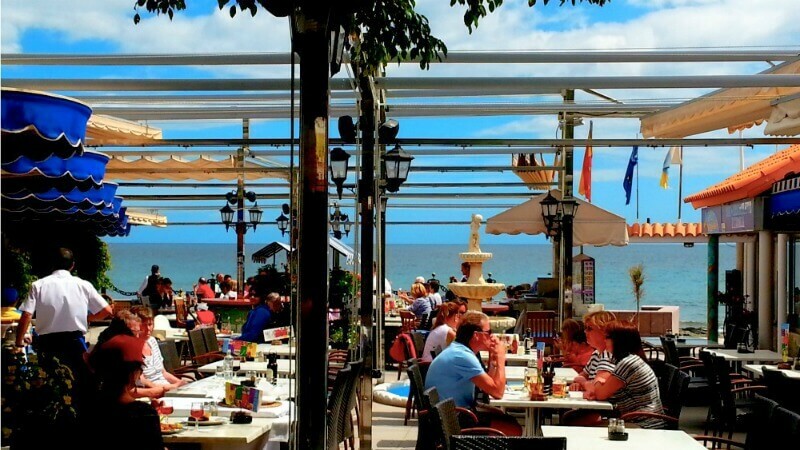 Take our advise, pop along to Restaurant El Capitán, soak up the view and enjoy a great meal as the Ocean glistens before you!